One of the important problems in human motion analysis is the 3D reconstruction of human motion, which utilizes the anatomic point’s positions. These points can uniquely define the position and orientation of all anatomical segments. 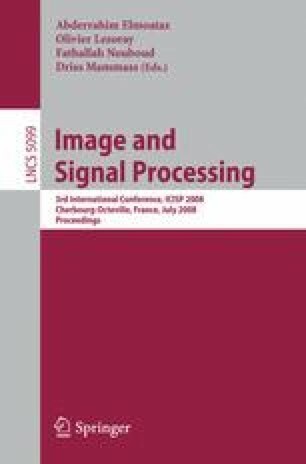 In this paper, a new method for reconstruction of human motion from the image sequence of a single static camera is described. In this method 2D tracking is used for 3D reconstruction, which a database of selected frames are used for the correction of tracking process. We use Discrete Cosine Transform (DCT) block as a “Matrix des criptor” used in the matching process for finding appropriate frame in the database and tracking process. Finally, 3D reconstruction is performed using Taylor method. By using DCT, we can select best frequency region for various tasks such as tracking, matching, correcting joints and so on. Experimental results showed the promise of the algorithm.